JILL STEIN HAD JUST 1% NATIONALLY? WHERE DID HER VOTES GO? ONE GUESS. Trump won four key battleground states (FL, NC, PA, WI). 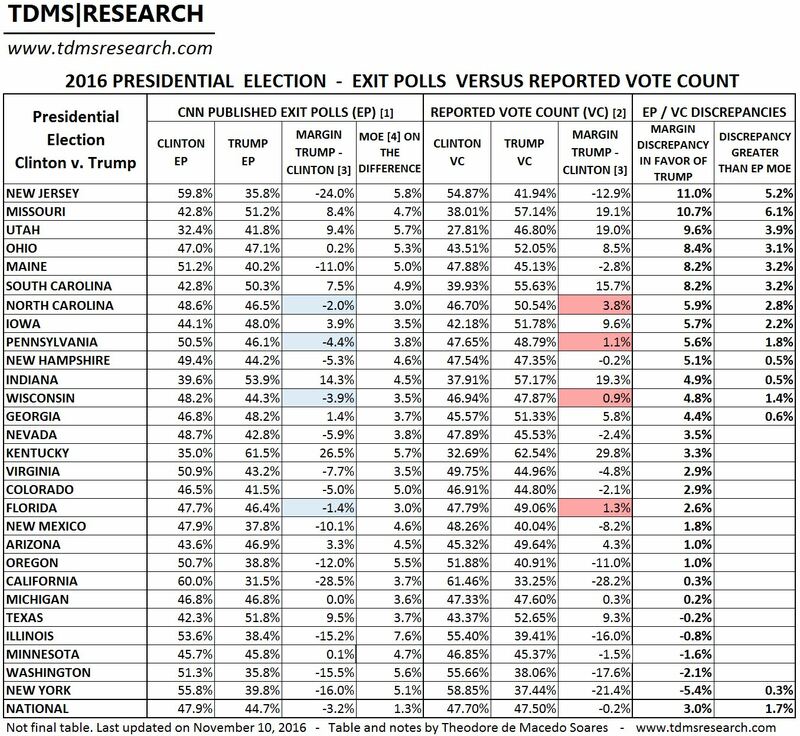 But unadjusted exit polls indicate that Clinton won all four and had 302 EV. Statistical analysis indicates that Trump very likely won all four states. View the two summary tables of 8 Battleground states below. Trump won the recorded vote by 47.87-46.94%. The CNN adjusted exit poll calculation did not exactly match the Reported vote.